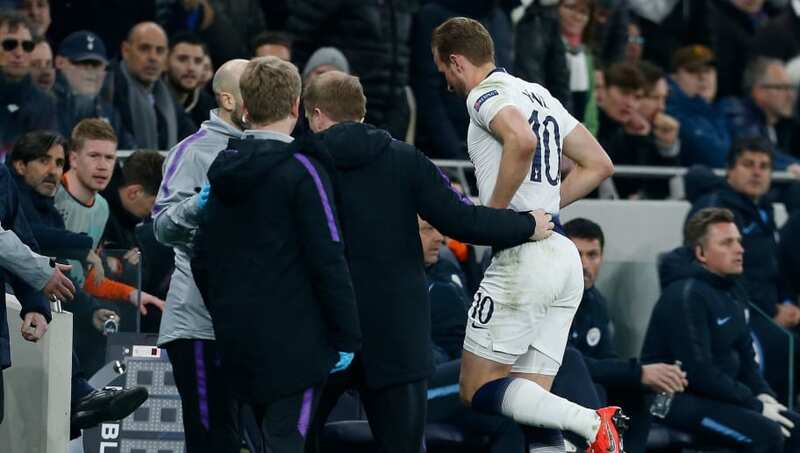 Tottenham Hotspur star Harry Kane has been forced off with apparent ankle injury during the Lilywhites' UEFA Champions League meeting with Manchester City at the 'New White Hart Lane'. The England captain limped down the tunnel, and was replaced by the ever-meh Lucas Moura, after appearing to roll his ankle while tackling Fabian Delph on the byline. The extent of the ailment is, as of yet, unknown, but the fact that Kane looks to have re-injured his ankle will be concerning for Mauricio Pochettino and the Tottenham Hotspur faithful. It is by no means the first time the talismanic number ten has suffered an ankle injury. Kane has recently recovered from damaging ankle ligaments in January defeat at the hands of Manchester United at Wembley Stadium. And last March, Kane came off worse in a collision not too dissimilar to the one tonight in a Premier League game at Bournemouth. On that occasion, the 25-year-old missed four weeks of action at a crucial point of the 2017/18 campaign. Tottenham will be hoping that the injury is not as severe as the previous two, and that their star man will be back fit in time for the second leg meeting with Manchester City at the Etihad Stadium.